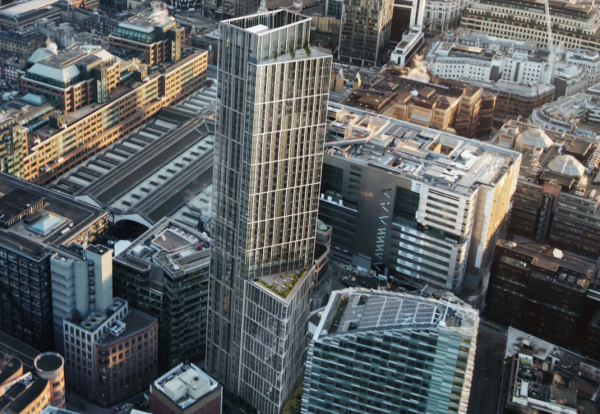 Hackney Borough planning committee has given the thumbs up for plans to build a 45-storey mixed hotel and office block next to the Broadgate development in London. 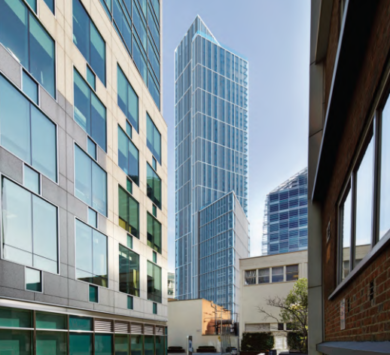 New York hotel developer Masterworks Development Corporation, owner of the Club Quarters hotel brand, is aiming to build the 340,000 sq ft tower at 13-14 Appold Street, just within the London council’s southern boundary. The 390-room hotel will fill the top 27-floor section of the 156m high-rise with offices filling out the lower 16 floors of the tower and podium. The existing seven-storey Bavaria House building will be vacated in July with demolition scheduled to take place in November. This will clear the way for a three and a half-year construction programme, with the year-long basement programme due to start in March. The superstructure will be mainly concrete columns with post-tensioned floor slabs. An 18-month fit-out phase is expected to get underway in the summer of 2017. 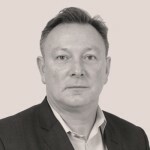 In London, the hotel group has already developed four hotels at St Paul’s, Trafalgar Square, Lincoln Inn Fields and Gracechurch Street in.